All ads and links on this page are free or mutual. I'm only too aware myself how difficult it is to afford to advertise when things are tight as during a recession. How much can one afford to pay for advertising before one ends up just working to pay for it? 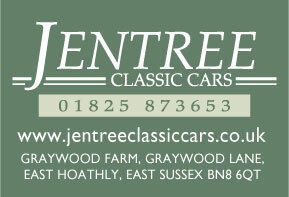 So if you are an artist or sole trading craftsman involved with classic cars send me your details so I can put a link or an advert on this page. A big THANK YOU to all friends and kind folk who display my work, recommend me or exchanged links. The Al-Eden Emergency, Bother in Burmeon, and Trouble in Teutonia by Susan Moss got a 9-13 year lad you need a present for? Paul Catheral London based printmaker and illustrator. Renowned for clean, sharp linocuts of architectural landmarks as well as his illustrations for high profile clients. Harry works for The Chase and his passion is typography in all its forms, from ancient lettering to the inspired letterforms that communicate to us today. Classic Car Shows and Events UK 2017.